It is all about some cabinets that have been installed at the the line 1, 2, 3, and 4 Seoul subway stations (what about the other lines?). 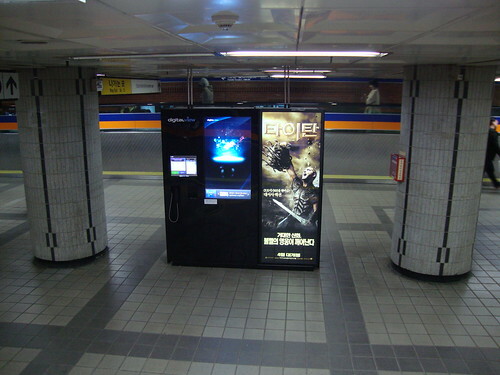 These cabinets have an interactive map of the surroundings of the station, and a touch phone that allows paying phone calls using the T-money card. Touch phone that allows paying using T-money. 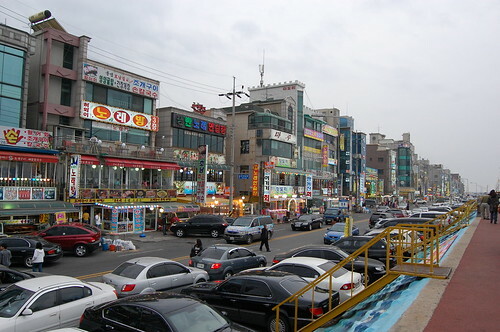 Oido is on the South Korean west coast, near Incheon Airport and at one hour and a half from Seoul by subway. 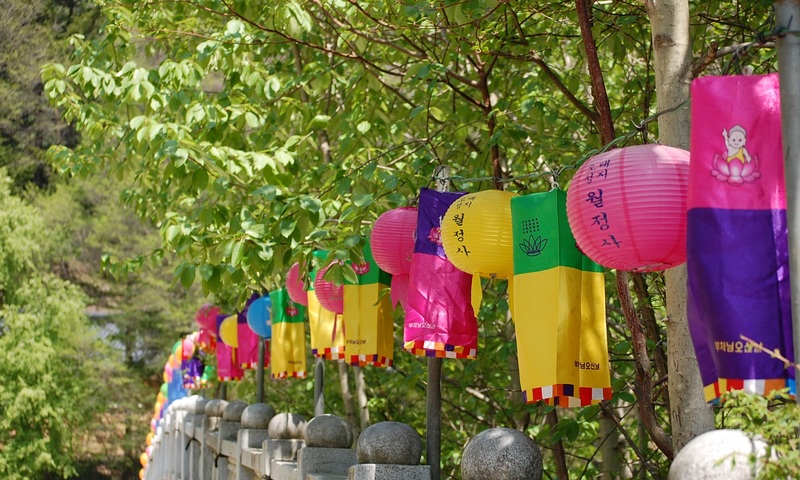 The west coast of Korea is known because it doesn’t have beaches where you can swim. 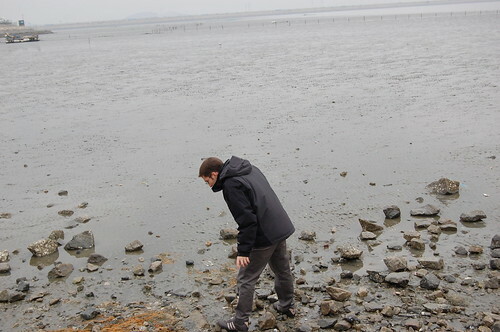 Instead, this coast is mostly composed of mud. You can get to Oido by subway (line 4, last stop). If you go out of the subway station (there is only one exit), you have to take the 30-2 bus (at the bus stop before crossing the street), and you have to get off when you see the red lighthouse. 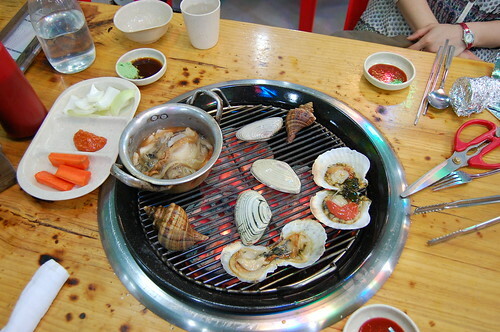 It’s about one hour subway ride plus 20 minutes by bus, but it’s worth it, specially if you like shells. 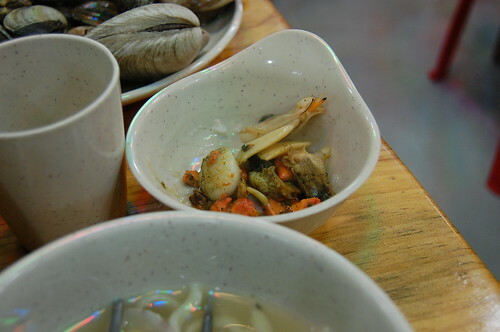 And, what’s there in Oido? Shells. In all kinds and sizes. Jiwon and the pale sky I told you about in the last post. This is how this coast looks like. What is between the boats is not water, but mud. [[Cuando sube la marea]] the mud is covered by the sea, allowing the boats to move. 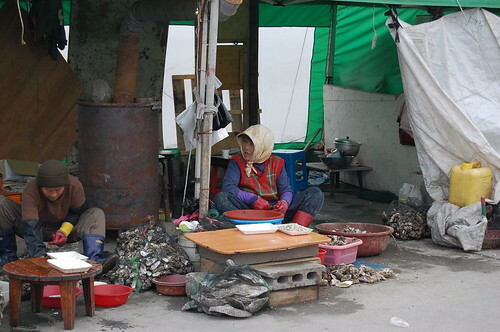 Near the beach, there were these ayummas selling fish that reminded me of the Jagalchi market in Pusan. 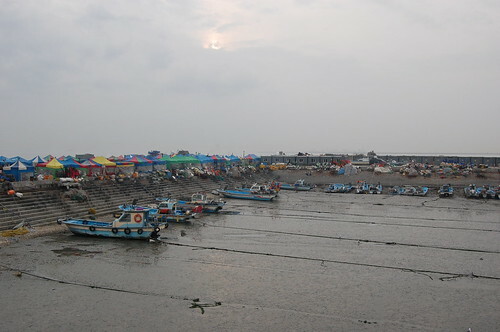 Another picture of the beach. 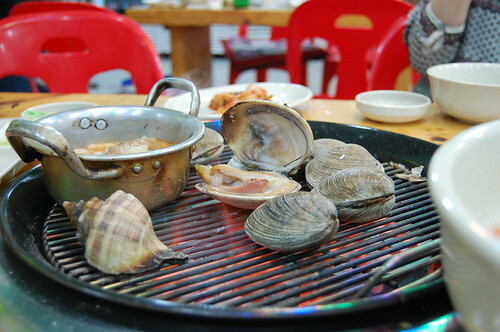 Near the coast, it’s all full of restaurants selling shells. 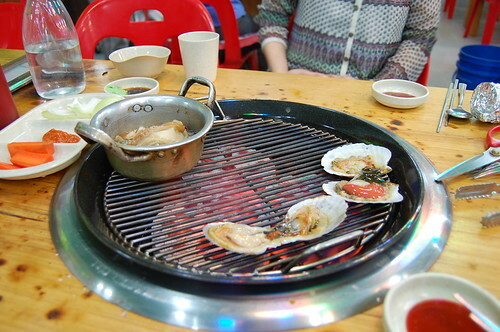 Most people going to Oido, go there to eat shells.